The following is a review I just posted on Amazon.co.uk, which you can see by clicking on the title of this post. My name is Colin Wee, and I am a 5th Dan Traditional Taekwondo practitioner with 24+ years of experience, including exposure and a black belt ranking in other styles, and coaching experience at a National level in another sport. I reside in Australia. I have known the author Sabumnin Stuart Anslow since 2003 through the IAOMAS organisation he established. A month ago he emailed me to check out the one-star "unpractical" and "farcical" comment by J Burgess on 18 Dec 2007. Since embarking on my own research on Karate and Taekwondo bunkai a few years ago, I have found an extreme dearth of Taekwondo content on the subject. 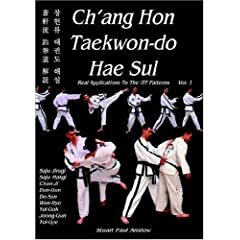 Chang Hon Taekwon-do Hae Sul when completed fills this gaping hole, and I believe in my heart of hearts that Stuart's book is the one Taekwondo book that any serious Chang Hon or ITF student must get. What I am most impressed is the breadth of experience that Stuart has drawn from. There is some really esoteric stuff from other martial arts that appears in the book in a readily-digestible format. Even the highlighted example of why the book is "farcical" draws from legitimate technique variations I have seen from Okinawan karate and my own exposure to aikijujutsu. An experienced instructor would only have to take a look at the example and modify it to suit a practical or self defence situation. 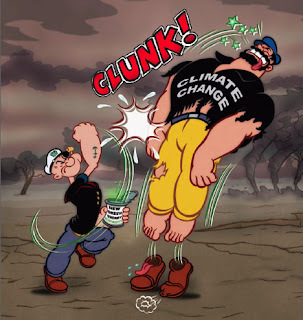 As a self defence instructor with 16 years of experience, my words of caution in response to J Burgess's comment are that many, if not all, martial arts techniques need to be tempered with self defence or combative teaching and experience. J Burgess takes one example and nonchalantly extrapolates it to discredit Stuart. HOW TYPICAL OF A MARTIAL ARTIST! I think Stuart has done a sterling job, given that it's his first shot at any book writing. However, in the end, it is up to the reader to approach it with an open mind. The best thing is that you can take a look at the book, sign up to his online forum, and chat with him on the subject. Stuart is the real deal - an intelligent humble open-minded instructor who is passionate about his subject matter. Who knows? Be nice to him and he might even invite you to his dojang in the UK. I have visited once - and was thoroughly impressed with the quality of all his students. I own this book, we should chat some time on Sang Bandalson Digutja Makgi, also I have added your link to my blog and seek that you might do the same. Our goals may be slightly different but I have plenty of respect for your style. After all, it's my core background. I'll add your link right after this.